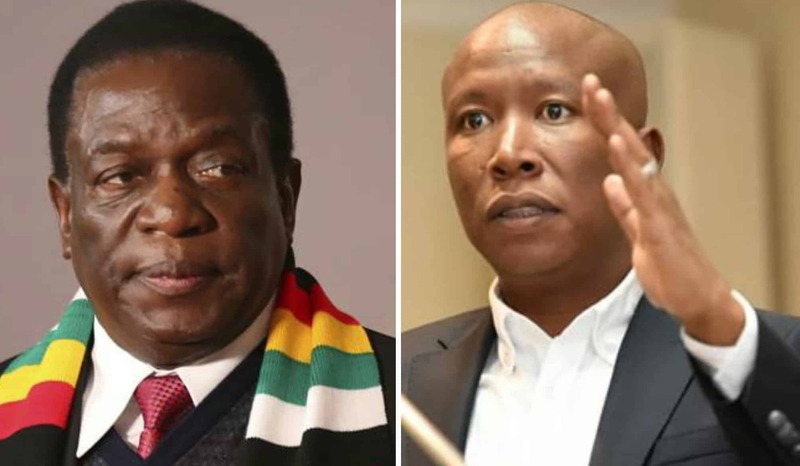 South Africa’s outspoken opposition leader, Julius Malema has come out guns blazing against President Mnangagwa’s government for sanctioning a nationwide Internet shutdown which left the country in total isolation from the rest of the world last week. Government ordered all mobile network operators to suspend Internet services in a deliberate move to curb the propagation of protests messages during last week’s stay away. “Its unacceptable to shutdown Internet for citizens. Its barbaric. In 2019 we have got a leader who shuts down the Internet and social media, that is so backward,” ranted a furious Julius Malema while addressing a press conference in South Africa yesterday. “Mnangagwa must know that its not acceptable. We are not happy with that development. We want to help Zimbabwe, we want the sanctions and we support an economic bail out for Zimbabwe” added Malema. President Mnangagwa’s administration has come under intense global scrutiny over its decision to deny citizens their right to internet access during the stay away protests which erupted across the country following fuel price hikes.